NU has a new process for completing the Student Report of Injury. The Wellness Center is now the department housing all Student Report of Injury original forms (formerly housed by Student Development). 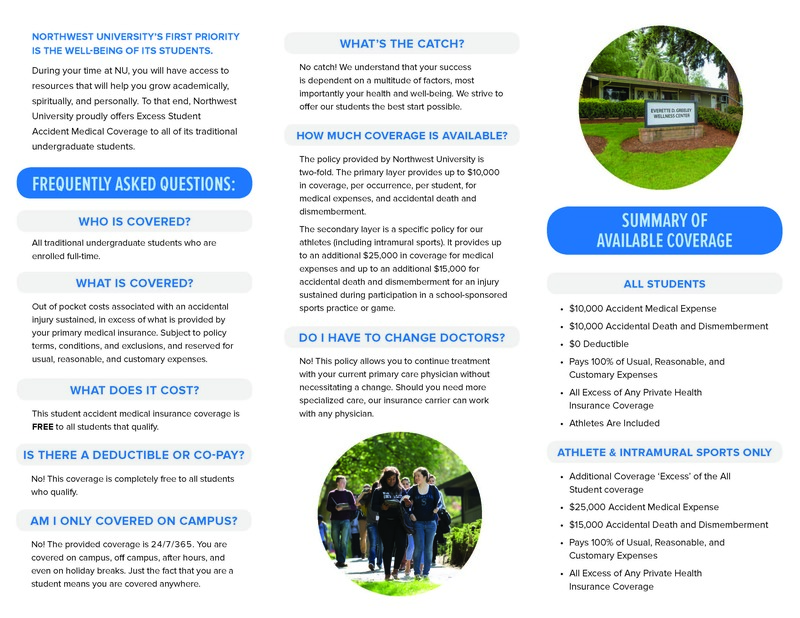 The Wellness Center will distribute completed copies of the form to Student Development and Security when necessary. Note: if the student was injured while working as a student worker, complete the employee injury report and send it to HR. Take the student to the Wellness Center and the staff there will complete the Student Report of Injury form with you. 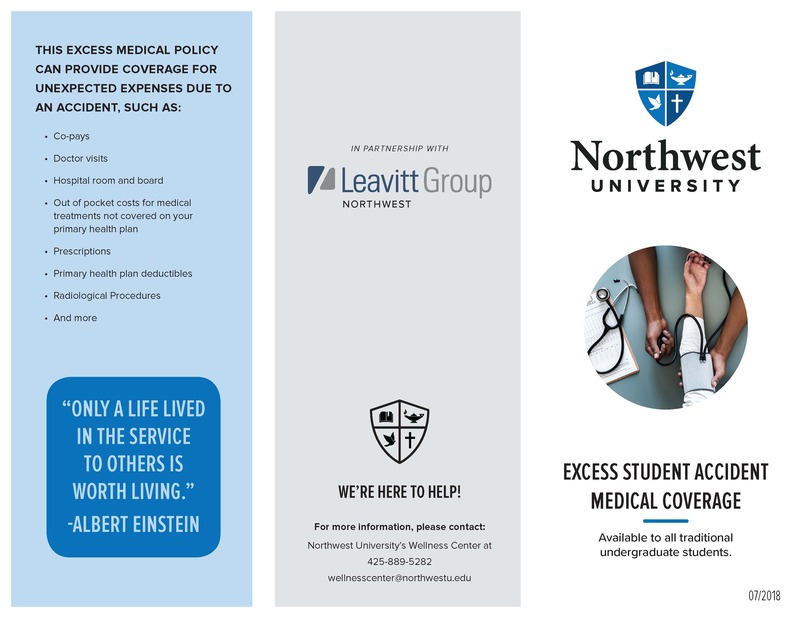 After the student or guardian receives the Explanation of Benefits (EOB) from the primary insurance provider copies should be mailed by the student or guardian to BMI Benefits.